The University of Illinois Springfield has reached a major milestone on iTunes U, a cross-platform multimedia distribution and learning environment that offers free educational content. The service is available to 200 million iTunes software users worldwide. Professor Michael Cheney’s podcast “Unit 1: Beatles as Mosaic” was recently listed as the second most downloaded podcast on iTunes U. Cheney, a professor of Communication, teaches an online Liberal Studies course on The Beatles. “The Beatles: Popular Music and Society” series has also been listed for the first time in the “Noteworthy” section of iTunes U. “I use podcasts in the class as a way to complement the material students are already studying and to provide them with poignant references and information to enhance their understanding of the course,” said Cheney. Cheney’s “Unit 1” was downloaded 23,744 times during the week of Nov. 14. That doesn’t include numbers since it was highlighted in the “Noteworthy” section. All 39 Beatles podcasts combined have been downloaded over 395,000 times since they were launched. The Beatles podcasts are the most popular series offered by UIS on iTunes U. Cheney predicts downloads could triple after the most recent spotlight. His three to four minute podcasts began during the 2005 fall semester. He also offers them in his Political Communication and Writing for Public Relations classes. The weekly podcasts include lectures and supporting material. Students use Apple’s iTunes software to listen to the recordings. The service is offered free of charge to both students and the university. “I started using podcasts because I felt there were a lot of things students should know, but could not be identified and presented to them in a small compact unit like a webpage or a couple pages out of a book,” he said. More than 800 universities have active iTunes U sites. Other institutions using the site include Stanford, Yale, MIT, Oxford and UC Berkeley, which all distribute their content publicly on the iTunes Store. 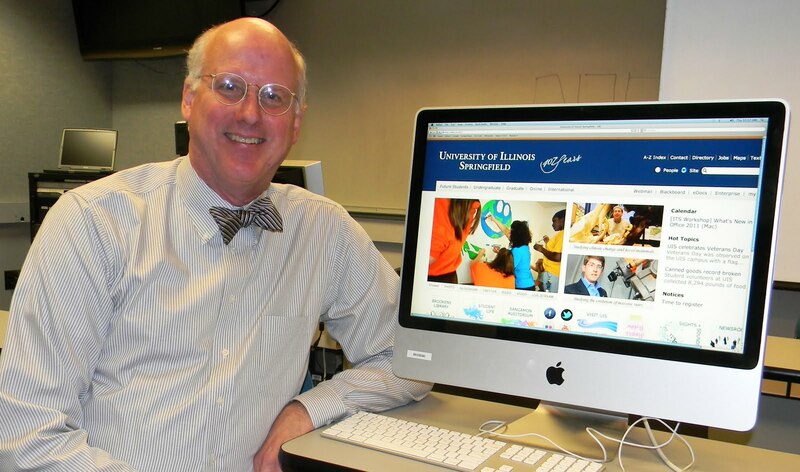 You can listen to Cheney’s podcasts by visiting the UIS iTunes U page at http://itunes.uis.edu/. For more information contact Cheney at 217/206-8271 or email mchen1@uis.edu.